The goal of this work is to develop new principles to enhance semantically the service registry of the service-oriented WebLab platform. To achieve this goal we propose a new generic method, based on inference rules for semi-automatic service annotations using domain and service ontologies. Our method relies on an upper ontology linking these two different ontologies. 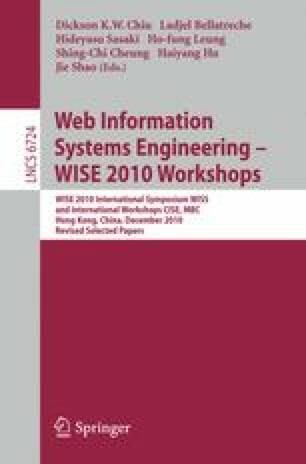 We implemented and validated our approach using semantic Web technologies and especially the IOPE (Input, Output, Preconditions and Effects) sub-part of the OWL-S ontology. Thanks to this approach, the domain experts will be able to create a large number of OWL-S service instances using their own specific domain-oriented ontologies.